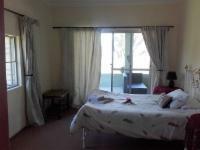 Twin beds, Private en-suite bathroom with shower, Private en-suite toilet, Garden views, Ceiling fan, Safe, Hair-dryer, No Smoking in Rooms. If cancelling 6 days before arrival, forfeit 90% of the booking total. If cancelling 15 days before arrival, forfeit 50% of the booking total. If cancelling 30 days before arrival, forfeit 25% of the booking total. All prices quoted in Namibian Dollars. Prices inclusive of 15% VAT and 1% NTB Tourism Levy. Prices include coffee, tea, and cake. Cash, Mastercard, Visa and debit-cards accepted on site. Guided Etosha Tours and Farm Tours available on request (prices on website) - contact us directly to book.